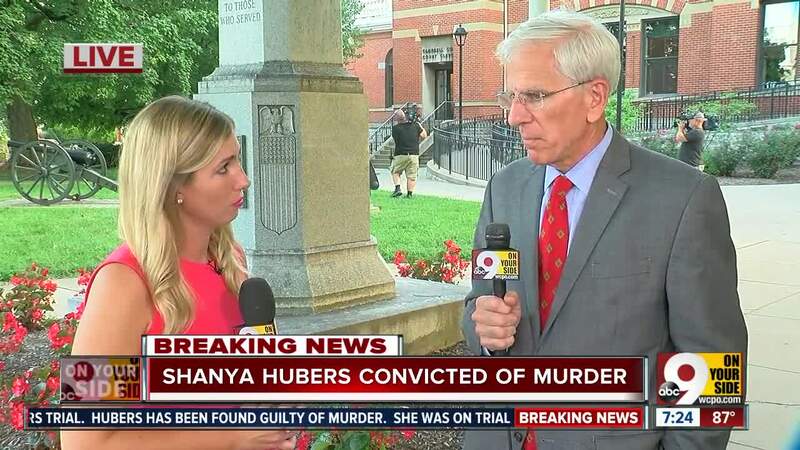 CINCINNATI -- Jurors in the retrial of Shayna Hubers, who faced a second round of charges for the 2012 shooting death of boyfriend Ryan Poston, found her guilty of murder Tuesday after fewer than six hours of deliberation. Hubers buried her head in the arms of an attorney and cried. "Today we embrace justice, and yet we do not feel joy," Poston's family wrote in a statement thanking prosecutors and police for their support. "It has been six long and heartbreaking years without our beloved Ryan. ... Those who love Ryan now move forward with the integrity, dignity, and kindness that Ryan exemplified throughout his life." The jurors will move now into a sentencing hearing, during which they'll hear more testimony before recommending a sentence to Judge Dan Zalla. Her behavior in police interviews, during which she worried out loud no one would want to marry her and quipped that the shooting gave Poston a long-sought nose job, netted her a murder charge which resulted in a 2015 conviction and sentence to 40 years in prison. However, one of the jurors who handed down the first conviction was a felon. That discovery made room for another trial -- one in which Hubers' defense team doubled down on its narrative of her as a desperate, terrified victim of Poston's long-running physical abuse and prosecutors reiterated their story of an obsessive, controlling young woman who preferred a dead boyfriend to an ex. During closing arguments in the second trial, Commonwealth's Attorney Michelle Snodgrass called Hubers' killing of Poston "an execution." 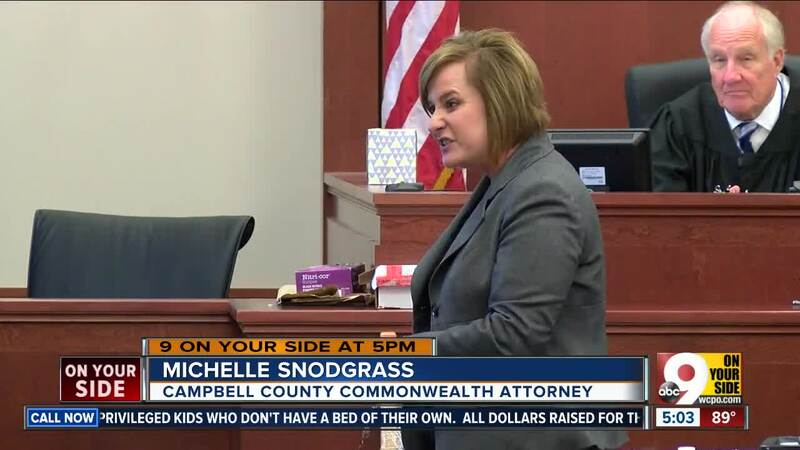 Although defense attorneys argued she shot him to protect herself and killed him to end his suffering, Snodgrass said she deliberately shot him six times from fewer than three feet away. 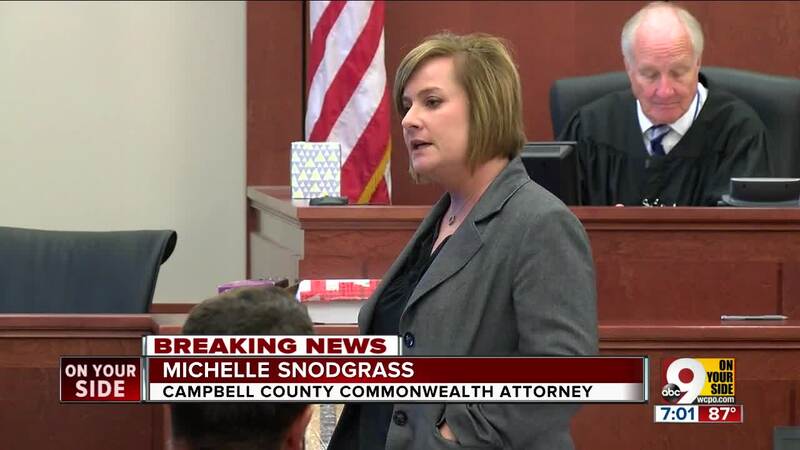 "She decided on that day ... to be his executioner," Snodgrass said. "She decides, 'This is not some kind of mercy killing.' She essentially played god. She took away all of Ryan's decision-making for him. 'He would want that. He wouldn't want a deformed face.' She made that decision. That's not because she was mistaken in her belief. That is someone who knows absolutely what it is that they are doing." Defense attorney David Eldridge called Poston a dangerous man who kept weapons in his house and sent Hubers mixed signals about their relationship, driving her into a state of intense psychological disarray. "The commonwealth has been unable to accept the truth about Mr. Poston. They don't want you to see the whole picture of Mr. Poston and Miss Hubers," Eldridge said. 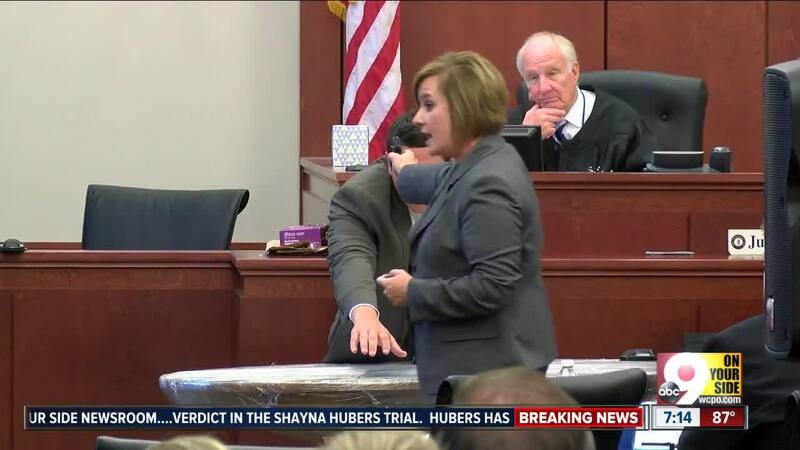 "Mr. Poston treated Shayna Hubers like a yo-yo -- he pushed her away, and then he would bring her back." The defense maintained the shooting came after a violent confrontation during which Hubers was thrown around the room and Poston pointed a gun at her, saying he could kill her and nobody would know. "He was grabbing her hair, jerking her head back and forth like she thought her neck was going to snap," Eldridge said. 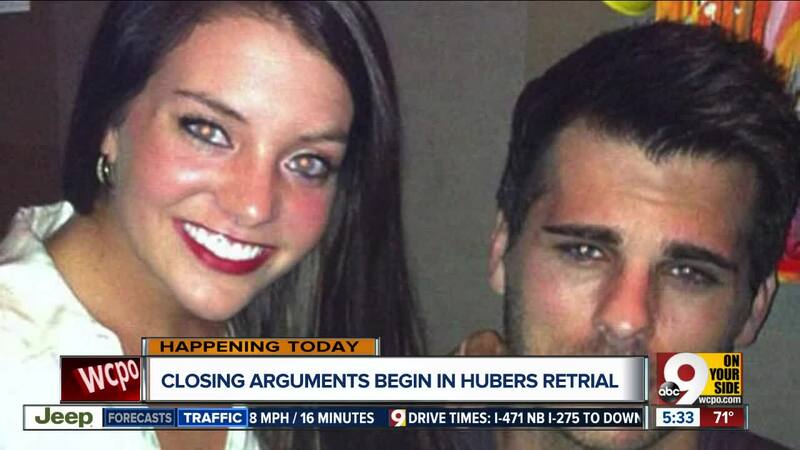 The defense also said Hubers' three cellmates who testified against her , claiming she had bragged about killing Poston and planning to use fabricated abuse as a defense, were "opportunistic predators" who preyed on a naive then-21-year-old Hubers. Five rebuttal witnesses for the prosecution testified Monday, including Highland Heights Police Chief Bill Birkenhauer, who was asked to examine the bra Hubers was wearing the night she killed Poston. Hubers claimed Poston picked her up by the bra and pants and threw her 12 feet into the sofa before she shot him. Birkenhauer testified none of the bra’s clips were broken and the garment was not stretched, ripped or torn. Psychologists and experts testified about Hubers’ mental health Monday. One said she has PTSD, another said she has borderline personality disorder. The defense rested Friday after calling just four witnesses -- including Hubers herself -- and psychologist Dr. Thomas Schacht. Hubers’ psychological condition was “seriously abnormal” when she shot Poston, Schacht said. Commonwealth attorneys dismissed those claims.